The Wildcats concluded their regular season April 23 with an overall record of 20-22 and a conference record of 11-8. The ‘Cats split the series with Benedictine College on senior night. Five seniors were honored before the games as they celebrated their last competition on Cavaness Field. The seniors were Tara Chumley, Renata Dill, Alyse Menghini, Brooke Plummer and Cami Williams. 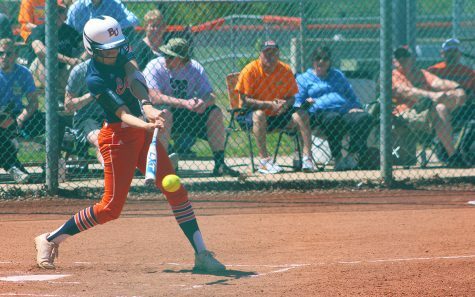 Williams hit a two-run home run right away in game one against Benedictine, giving Baker an early 2-0 lead. 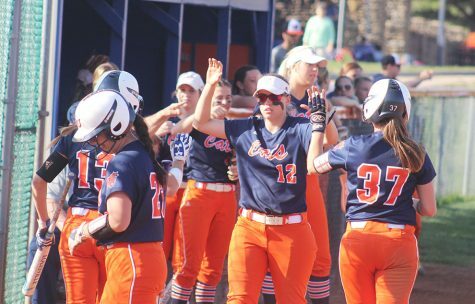 This was Williams’ second home run of her college career, her first being her freshman year at Baker. Stanclift said the seniors have led the team all season not only through their performance on the field but also in terms of showing underclassmen that sometimes it takes sacrifice to be successful. 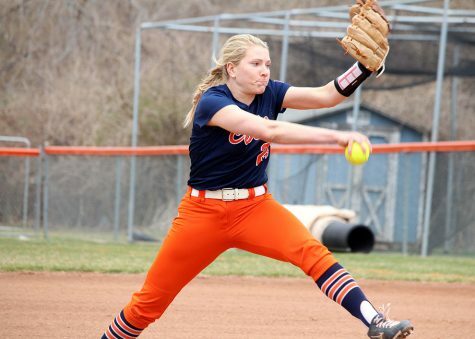 Chumley tore her labrum in September and had the option of surgery or playing through the pain. While she opted to have the surgery after the season, she had to learn a new position in order to accommodate her pain. Rather than her usual position as catcher, she has moved to first base. 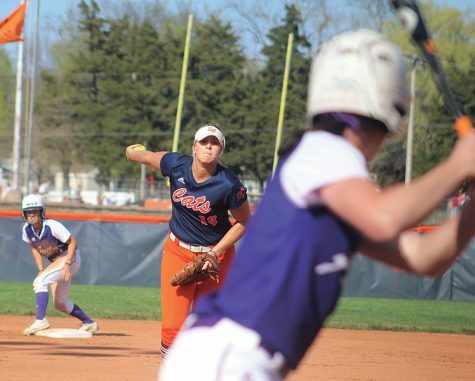 Dill leads the conference in stolen bases, and she leads the team in runs scored and hits. She is also errorless in center field. Stanclift said that Plummer, a pitcher, has stepped in during “some tough situations” and helped pull the ‘Cats out of some innings. Although third baseman Menghini is a junior academically, she will be student teaching next year and was recognized on senior night. Menghini leads the team in RBIs, home runs and doubles. 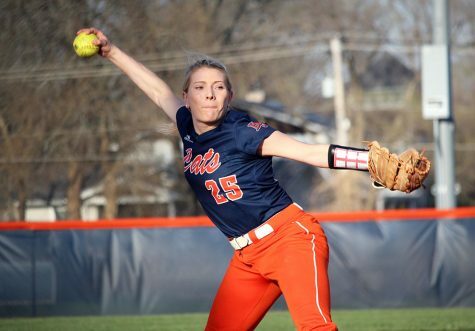 She also frequently led the Wildcats in batting average throughout the season. 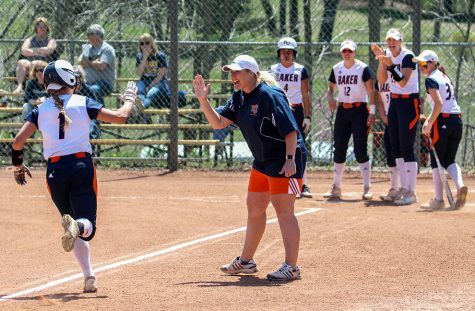 As the seniors wrap up their final season, Stanclift wraps up her first season as head coach. 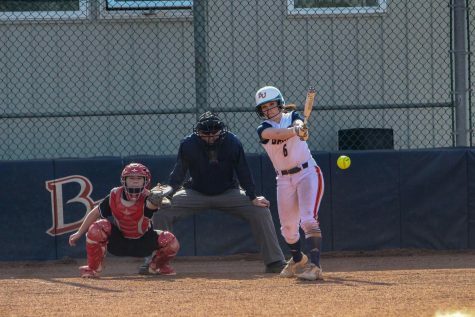 Heading into the conference tournament, the Wildcats will focus on just a few things in order to fine tune, including limiting walks and focusing on minimizing batters’ pressure. 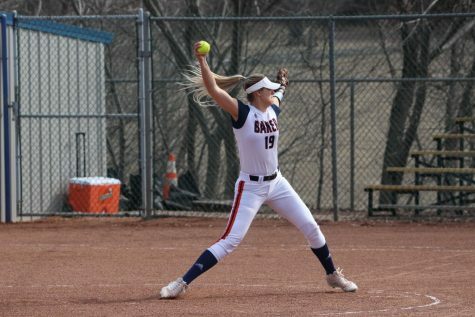 Although the schedule is not yet set, as all teams have not completed regular season play, the teams, including the Wildcats, will play at 4 p.m. Thursday at the Blue Valley Sports Complex in Overland Park. As of Friday, Stanclift said it looks like the ‘Cats will be either a No. 4 or No. 5 seed. They would then face either the No 4 or No. 5 seed, whichever they are not.